Thanks to Relevant Children’s Ministry for this re-post. As we begin the school year, challenge yourself to learn the names of those in your club or small group and greet each child by name. A few days ago, as I was doing my Bible reading, this verse jumped out at me. John, who wrote this book of the Bible, asks the believers to be personally greeted by name. You see…names matter. Especially in children’s ministry. It makes a big difference in a child’s life when he or she is personally known by name at church. The sweetest sound to a child’s ears is his or her name. 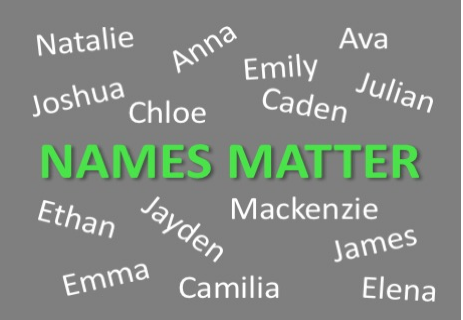 It should be our goal that every single child who attends our church is known by name. We should strive for every child to hear their name being used by a caring, loving volunteer every time he or she is at church. Take another look at the verse. Notice John calls the believers “friends.” The reason names matter is because relationships matter. If we want to see kids grow up to love Jesus, we must ensure they have significant relationships with volunteers and staff. Discipleship happens through relationship. Spiritual growth happens through relationship. Care happens through relationship. Personal prayer happens through relationship. Mentoring happens through relationship. Influence in a child’s life happens through relationship. We must be intentional about knowing the names of the kids in our ministries. How can this happen in a growing church? Name tags are a good start. You should already have this in place for safety and security purposes. Encourage your volunteers to look at kids’ name tags and use their names as much as possible when interacting with them. Place kids in small groups where they are called by name and prayed for by name each week. The larger your ministry becomes, the smaller it must become. Kids don’t come back because of amazing facilities, cool music or fun videos. They come back because someone knows their name and cares about them. Names matter. Because names matter, here are some questions to talk through with your team. Are we using name tags for kids? Are we encouraging our volunteers to use kids’ names as much as possible when interacting with them? Are we placing kids in small groups where they are known by name? Are kids being prayed for by name when they are at church? 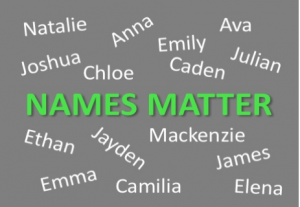 How can we be more intentional about using kids’ names?